Long Bone Defect Classification: What It Should Be? Copyright: © 2016 Solomin L, et al. This is an open-access article distributed under the terms of the Creative Commons Attribution License,which permits unrestricted use, distribution and reproduction in any medium, provided the original author and source are credited. Dr. Maurice E. Muller said that classification is useful only if it considers the severity of the bone lesion and serves as a basis for treatment and for evaluation of the results. Very useful and practical Muller-AO of long-bone fractures classification was developed on this principle . Unfortunately, the Developed in Ilizarov Kurgan Center classification are intended only for use of the Ilizarov method [2-4]. The other group of classifications [5-9] designed to determine the optimal option of revision arthroplasty. 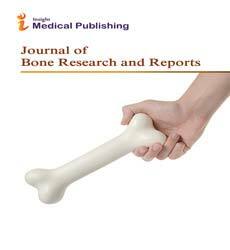 To develop universal classification of long bone defects. The principles of Muller-AO of long-bone fractures classification were used: from simple to complex, with an alphanumeric designation of a particular type of pathology. The defects of each bone segment are divided into four types and with further subdivision into three groups and their subgroups generating a hierarchical organization in triads (Figure 1). Figure 1: Types of long bones defects. A: Limited defects; B: Bone fragments have contact; C: Bone fragments have no contact (segmental defects, “defect-diastase”); D: Complete articular defects. Like in Muller-AO fractures classification numerical designation of bones and segments are used (Figure 2). In angular deformity true shortening (defect) should be determined after modeling deformity correction. Bone defects can be associated with soft-tissue defect, infectious process,neuro-vascular disorders, deformation of the segment, devitalisation of bone fragments, etc. In these cases additional appropriate classifications, including developed by the AO, should be used. Figure 2: An example of the bone defect classification. a: Scheme and roentgenogram; b: Result of classification. The proposed classification allows identifying priority treatment methods. For example, for "A" different kinds of free bone grafting, dependent on degree of pathology. For "B" free and vascularized grafting. For "C" a variety of Ilizarov techniques. For "D" arthroplasty and prosthetics. Undoubtedly, the development of methods bone defect treatment will require improving classification that has been happening with the Muller-AO fractures classification. Ruedi TP, Murphy WM (2000) AO Principles of Fracture Management. Ilizarov GA, Devjatov AA, Larionov AE (1977)Treatment of infected tibia defects by Ilizarov apparatus. Makushin VD (1987) Treatment of patients with tibia bone defectswith Ilizarov device.MD Thesis, Perm p: 475. Shevtsov VI (1996) Defects of the lower limb bones. Shevtsov VI, VD Makushin, LM Kurgan p: 504. Dorr LD (1986) Bone grafting for tibia defects in total knee arthroplasty. Clin Orthop 205: 153-165. Bargar WL (1992) A classification of bone deffects in revision total knee arthroplasty. Knee Society Interim Meeting, Philadelphia pp: 176-192. Engh GA (1997) The management of bone defects in revision total knee arthroplasty. Instr Course Lect 46:227-236. Clatworthy M (2003) Management of bone defects in revision total knee replacement. The adult knee, Philadelphia: Lippincott, Williams and Wilkins pp: 1455-1463. Huff TW (2007) Management of bone loss in revision total knee arthroplasty. JArthroplasty22: 32-36.